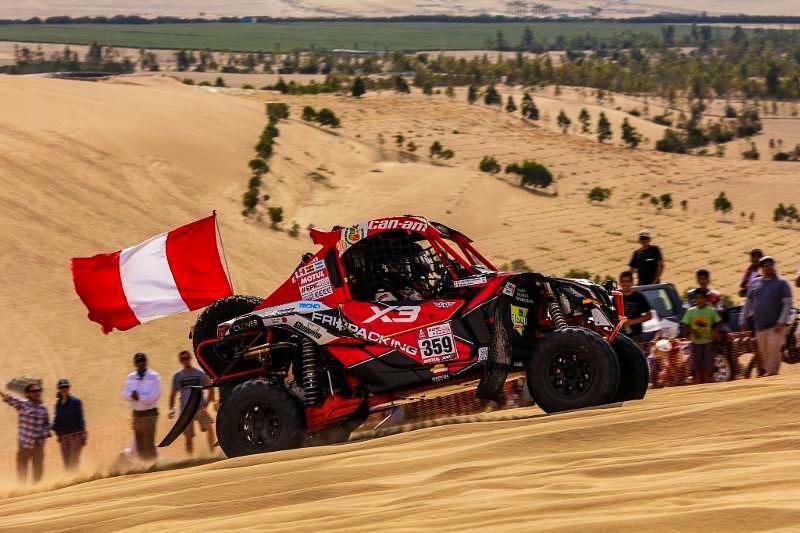 Pisco, January 7, 2018.- The duo formed by Juan Carlos Uribe and Javier Uribe of the Can-Am Peru team won the second place in the Pisco-Pisco stage in the SxS category. 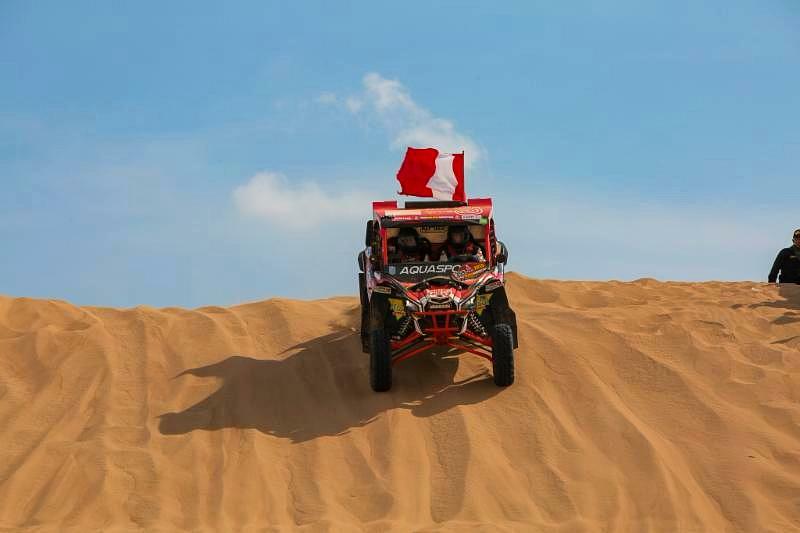 Thanks to this result, the doctors of Ica, who made their debut in the Dakar, placed themselves in the first place of the general standings in the category. The second stage started from the Pozo Santo camp in Pisco. 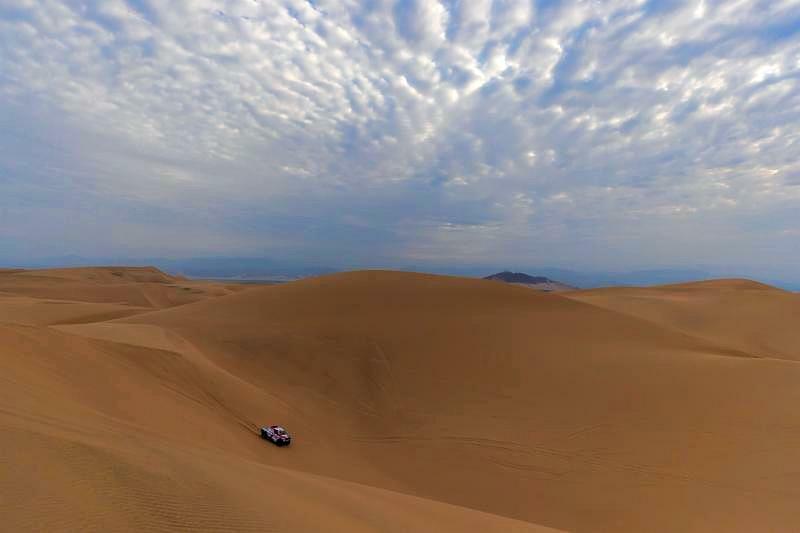 This city is located in the Ica region, that hosts this race for the third time and is bathed on one side by the immense Pacific Ocean and, on the other, by a mysterious and demanding desert that is lost on the horizon. This region is very attractive for tourists, so much that activities in the desert have increased by 45% between 2012 and 2016. This is a place known for the port, agriculture and for being the original place of the traditional drink of Peru: pisco, a distillate of grapes. On the other hand, very close to Pisco, less than 20 kilometers away, nature lovers can visit the Paracas National Reserve. In this place you can carry out activities such as biking, visit the site museum, see the wildlife and the migratory bird hostels. In addition to the great variety of fish, Paracas is habitat of guano birds and large colonies of sea lions. It is also the last refuge for a series of endemic and endangered species, such as the marine otter, the Humboldt penguin and the flamingos. Another important destination near the Pisco and Paracas area are the Ballestas Islands, which are two hours away by motorboat from the coast. The islands are composed of a group of rocky islets that are home to different species. This is a protected area, which does not allow disembarkation; however, you can observe the marine fauna of the area very closely. Pisco also hosted to the gastronomic and craft fair “Perú, Mucho Gusto” that took place on the Costanera de Pisco Playa on January 6 and 7. More than 10 thousand people visited this fair on the first day, which had 20 stands of typical food from different parts of Peru. Also, tourist information was provided and there were crafts sales.